In 2010, visitors to New York's Museum of Modern Art were confronted by a woman sitting on a chair, behind a simple wooden table. Facing her was a similar, empty chair. People came and sat in the chair, shared some moments of silence with the woman, and then moved on. Day after day she sat there, for 736 hours and 30 minutes in total: no breaks, no trips to the loo, no movement, no words. This was Marina Abramović's 'The Artist Is Present'. It was a milestone piece, characteristically both confrontational and cerebral, confirming the Belgrade-born iconoclast as not only the queen of performance art, but also as one of the most exciting artists in the world. 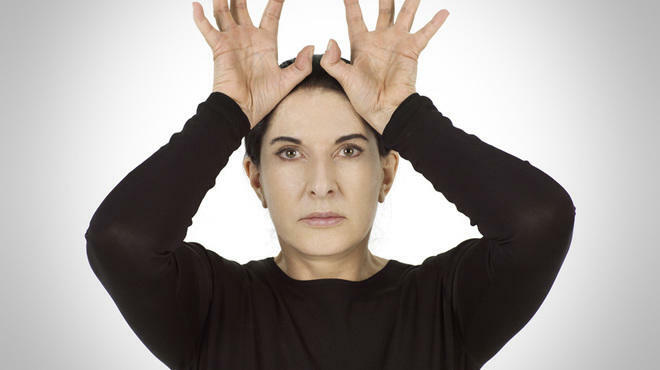 Now 67, Abramović has been putting extreme performance into galleries for the last 40 years. She's been stripped, had a loaded gun and a crossbow pointed at her, taken dangerously powerful medical drugs, deprived herself of oxygen, nearly died. She's also inspired Jay Z, who was so taken by 'The Artist Is Present' he made his own (rather briefer) version: a six-hour gallery performance of his song 'Picasso Baby'. 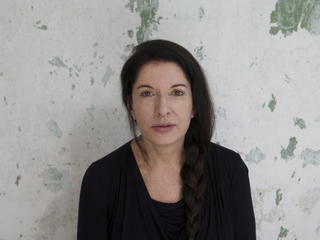 Now Abramović is coming to London to stage another gruelling artistic event at the Serpentine Gallery. Typically for an artist who puts risk at the heart of her work, she has no idea what it's going to be yet. But if anyone can pull off a 512-hour show about 'nothing', it's her. Are you nervous about performing in London? What is the thinking behind '512 Hours'? What will that actually consist of? Why do this in London? What do you want people to feel? Will you be opening the gallery each day? How do you prepare for these feats of endurance? Your work uses spiritualism and very strict discipline. Where does that come from? You've referred to yourself as the 'grandmother of performance art'. I was going to call you a 'doyenne'. As a doyenne, then, does it make it easier to create work now that you're accepted? People make pilgrimages to see you; they queue for hours. Have you broken your own manifesto rule that an artist should not become an idol? How did your collaboration with Jay Z happen? You also helped Lady Gaga give up smoking. You devote yourself to your art. How does that affect your life? Finding Mr Right, for example?